On my recent travels in France I came across a gem of a cognac, so if you’d like a taste of fine French living from the comfort of your own living room then you really need to try this delicious cognac; Vintage Duquai Cognac 1970 Borderie 70 cl 40°. Cognac DUQUAI is based in the heart of the Cognac region in the family house in Jarnac and was started by Philippe Braastad Tiffon who liked the good things in life and this was no different with his cognac. He created the perfect balance gathering the greatest ‘eaux de vie’ or brandy, that could be found in the region. Phillippe’s family have a rich history in the cognac industry. His grandfather Sverre Braastad relocated to the Charente region of France from his native Norway where he developed the cognac house Tiffon Mederic and flourished on the northern European markets. With 25 years’ experience in the family business, starting his own was a natural progression for Phillipe. 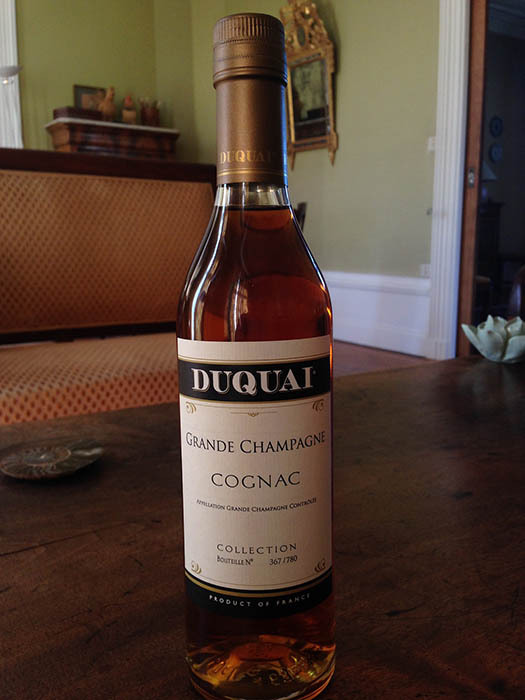 Duquai Cognac is available in two qualities: Duquai VSOP and XO Duquai. The cognacs extremely high quality; original, harmonious and rich in flavours and perfumes. The Vintage Duquai Cognac 1970 Borderie 70 cl 40° comes from the Borderies growing region and is an exceptionally fine aged cognac. It reveals a rich and intense flavour with woody notes of vanilla mixed with scents of liquorice, marshmallows and fresh toast combined with white pepper and cinnamon, which all gives this old ‘eau-de-vie’ a very special and unique character. So for the perfect after dinner drink for your next dinner party, sample a bottle of Vintage Duquai Cognac 1970 Borderie, a delicious drink to slowly enjoy over good conversation, that will also take you right back to warm, summer days spent in France.